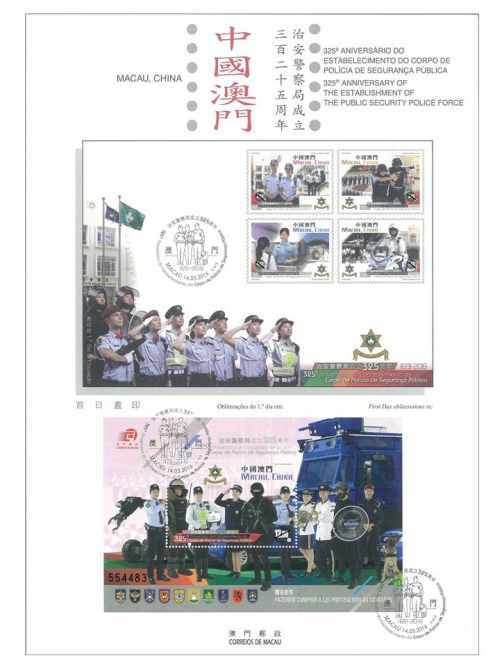 Stamp Issue "325th Anniversary of the Establishment of the Public Security Police Force"
Macao Post will issue the stamp theme “325th Anniversary of the Establishment of the Public Security Police Force” on 14th March, 2016. 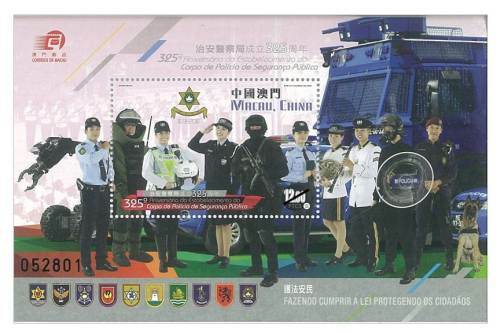 The Macao Police has a long history. 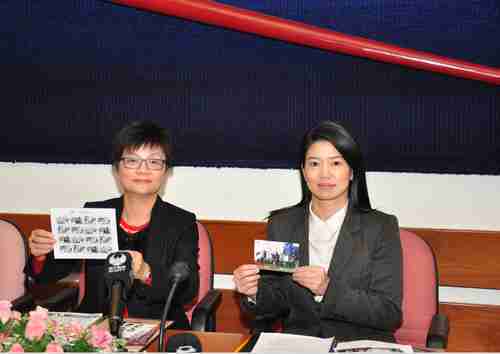 According to the records, during the early days the Portuguese Navy was to maintain public security in Macao. Afterwards, the Leal Senado promulgated an order on 14th March 1691 to deploy soldiers to patrol in the streets and acted as “police”. 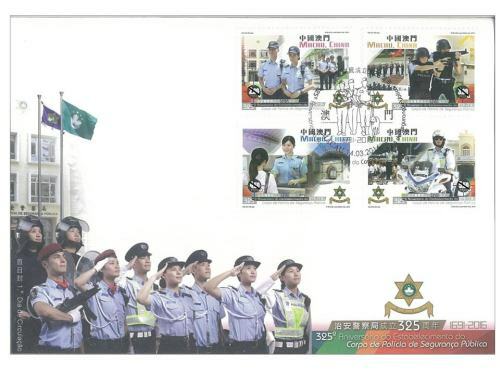 This was the origin of the Macao Police, therefore, 14th March marks the establishment of the Public Security Police Force. 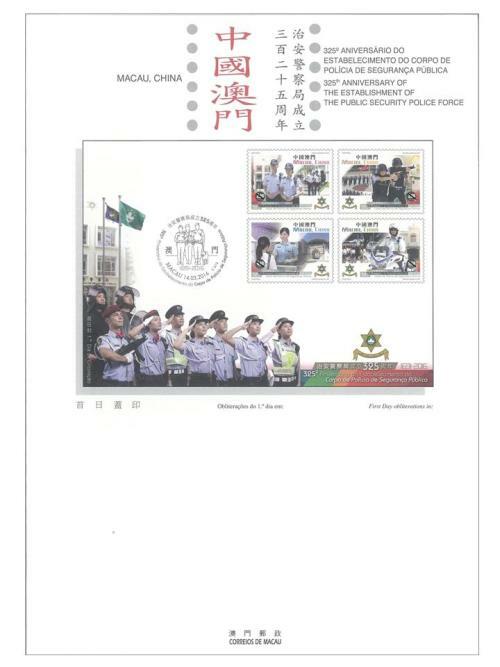 Until today, the Public Security Police Force has been fulfilling the important responsibility of maintaining social order and peace for 325 years. 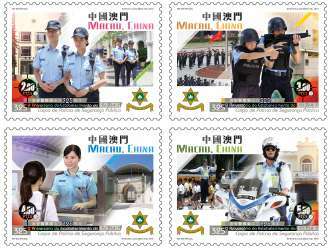 To mark this anniversary, a set of four stamps and one souvenir sheet is issued. 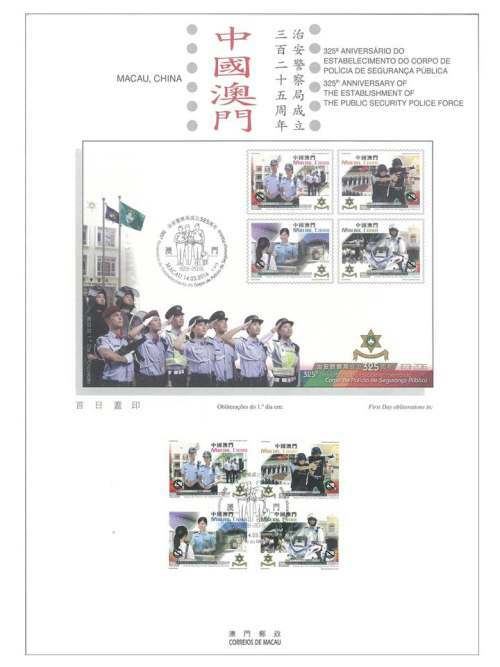 The stamp designer for this issue is Mr. Ng Wai Kin, and the text for the information brochure is written by the Public Security Police Force of the Macao Special Administrative Region. This is the third theme in 2016. 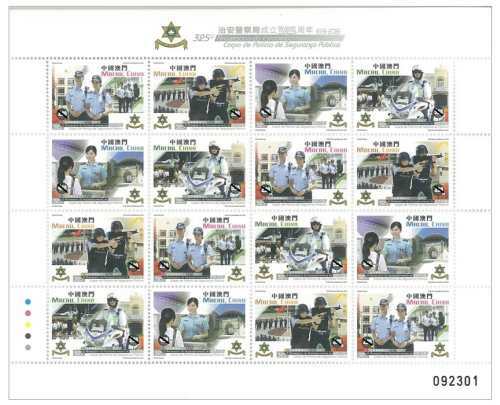 The previous issued stamps are “Lunar Year of the Monkey” on 22/01/2016, the label stamp “Lunar Year of the Monkey” on 22/02/2016, and “Scenery of the Imperial Palace in Beijing” on 01/03/2016. 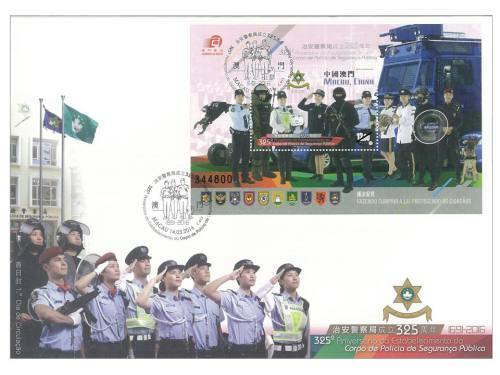 Technical Data of Stamp "325th Anniversary of the Establishment of the Public Security Police Force"